Today, teen girls are increasingly bombarded online with images of their commodification and objectification — movies and online media simplify and trivialize their experiences while portraying them as little more than sexual objects. But online and through social media, many are finding support to challenge the disappointing and demeaning messages projected towards them, and instead express their own points of view. Through platforms like Tumblr and Instagram, a growing movement of young female artists are joining forces and coming together in solidarity and celebration of each other. 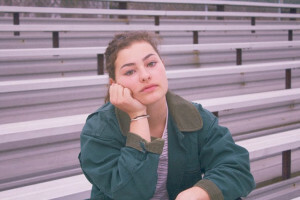 On April 16th and 17th, “Teen Dream,” a pop-up exhibition in Brooklyn curated by Brittany Natale, brought together the work of an accomplished group of female-identifying artists under the age of 21. The show explored the complexities of growing up female, from the stigma attached to menstruation, to the challenges of battling an eating disorder. Among the artists were self-publishers like Fabiola Ching, editor-in-chief of The Coalition Zine, a print and online magazine that champions the work of young women of color, and Lee Phillips, co-founder of Girl Power Meetups, through which girls can connect in person to share ideas and support. Given a recent upswing of all-female exhibitions, many have called into question their effectiveness in securing women an equal footing in the art world. 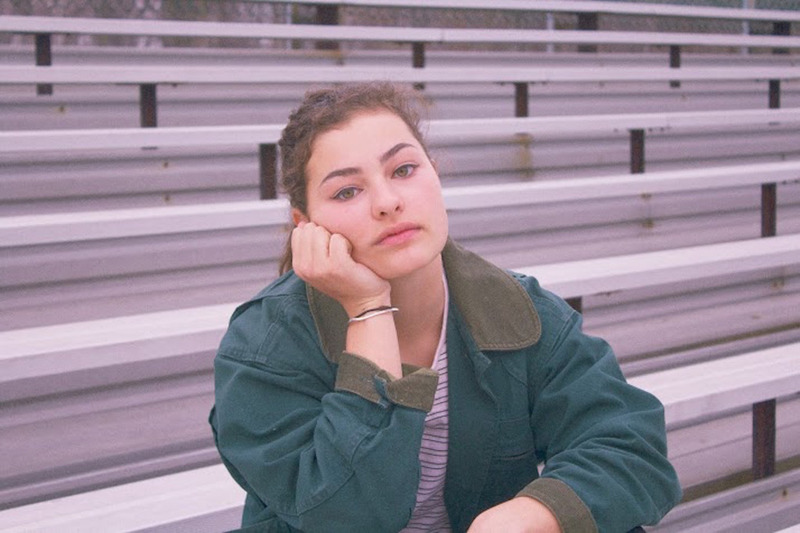 “Teen Dream,” though, was a testament to the power of providing space for women and girls to showcase the art and issues that are meaningful to them. Absent in the gallery was the competitive tension that hangs in the air at most group exhibition openings; instead, in the minutes before the doors opened to the public, the girls sat in a circle on the floor, sharing excitement and stories over slices of pizza. Women in the World caught up with a few of the artists to discuss what it’s like to grow up female in the digital age, and what it means to them to be part of an exclusively female-identifying exhibition. 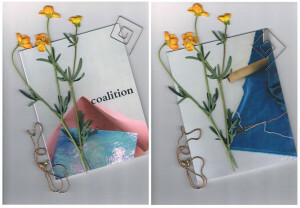 WITW: What’s a goal for your the Coalition Zine? FC: I hope that (women of color) feel included. That’s one thing I’ve noticed a lot, when I talk to my friends, it’s like we don’t feel included. And I hope they feel like they’re welcome into our space, and they’re welcome to ask questions, and ask what it takes to make a publication, or if they can write with us. A lot of the times, it feels very alienating, especially in the publishing industry, it feels very exclusive, so I don’t want that. I want it to feel like they’re welcome here. WITW: Are there any misconceptions about you or your community you’d like to address? FC: I don’t really care if people have any thoughts about us. This is not for them in the first place, and it’s not for people that are not us. I want people to know that we don’t do anything for them. Everything we do, we do for us. We don’t do this to convince you we’re beautiful and we deserve respect, because we are beautiful and we do deserve respect. But we’re not going to focus any more time on trying to pitch that, because we shouldn’t have to. WITW: Where does your confidence come from? RR: I think social media played a big part in it because before I even started letting my friends from home follow me or see what I was publishing, I first had this online community that supported me and I was able to express myself without fear of ridicule. RR: One (misconception) is that our opinions aren’t diverse. I think when people see an online community of girls who support each other, or visually like the same thing, people can lump us all together and say that we don’t have diverse ideas, which I think is pretty ridiculous, because there’s always been similarities in art, and in art movements. GN: I feel like a lot of people tend to group all the young girls creating art and sharing it on the Internet together under the assumption that we don’t really know what we’re doing, and are just buying into a trend and making work that people are going to like because it fits a certain aesthetic. I mean, I definitely don’t completely know what I’m doing, and that’s ok — I’m still learning and figuring it all out. But for me, creating art is about making something that’s meaningful for myself. WITW: What does it mean to be part of a female-identifying-only art show? GN: What about all the all-men art shows? Or the all-white art shows! There are so many art shows that only feature straight white males but lack of diversity, especially in the art world, is so common that they’re just called art shows. It’s important to create spaces that allow marginalized individuals to share their art, especially because they are often discouraged from speaking their minds or sharing work that explores their vulnerability. A lot of the work in this show addresses subject matters specific to the experience of non-male individuals. It feels good to be a part of a space where there are other people who can relate to you and your experiences. WITW: What has it been like to grow up female? MS: I grew up being so proud of being a girl and loving my girlhood, but only as I’ve gotten older have I realized that the world is kind of against me. I’ve felt so fortunate to have the luxury to go to an all-girls school where everybody is so confident in their own womanhood, and yet, I’ve started seeing things that make me so uncomfortable. It’s like growing up in this world where you don’t think anything’s wrong with yourself, and then having this realization that the world really isn’t in your favor. WITW: What’s the goal of your work? 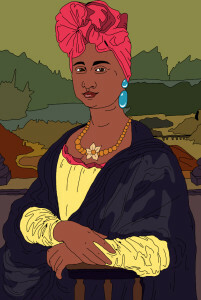 MS: My one series I’ve been working on recently, it’s been called “Intersectional Art Herstory,” and it’s of kind repainting the white western muses of art history with queer people, people of color, and disabled girls, who are so underrepresented in the pieces of art history we’re learning about all the time. Everyone knows the Mona Lisa, but I feel so privileged to know that I can look at those paintings and see myself in them, and i just wonder how other people feel, who don’t see themselves in the famous works of art they’re learning about their entire lives. AW: Something I’ve been really grateful for recently are my role models. I’ve realized that as much as I can feel terrible looking at certain magazines and people, I can also feel really great by looking at other people, like my friends, or people like Tavi Gevinson. When I first read Rookie, I realized that everything that’s been kind of hiding in the closet of my brain should not be in the closet, it should be in the living room, it should be on the front lawn! WITW: What does it mean to you to be part of a female-identifying-only exhibition? AW: I was just discussing this at a gender equity club that my school runs, and I was talking about how there’s a downside and an upside to it. On one hand it’s separating female artists, and on the other hand it’s totally celebrating them. I think that the best way to get female artists integrated into the mainstream art world is to just keep showing work, and it will be taken seriously. And that’s just what I want: to be taken seriously.